To build consistency across your entire yearbook design, you have to start with a great style guide, which includes details about your color palette and your design inspiration–and the fonts that will be used across the pages of your book. 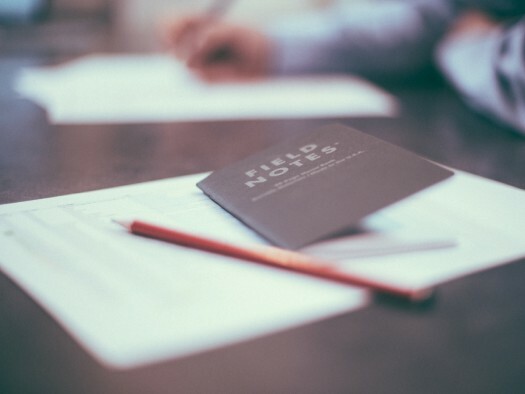 A great font combination will help your headlines and content play off of each other–it can have a significant impact on the feel, personality, and readability of your final publication. If there isn’t someone on your committee with a background in graphic design, picking your yearbook’s fonts can feel a little overwhelming. To make this step easier, I’ve pulled together six font combinations that look sublime and keep the appearance of your content fresh, cohesive, and easy to read. Below, you’ll find some fabulous inspiration to influence the overall look and feel of your own publication! As you review the options I’ve compiled, there are a few design tips you should keep in mind. 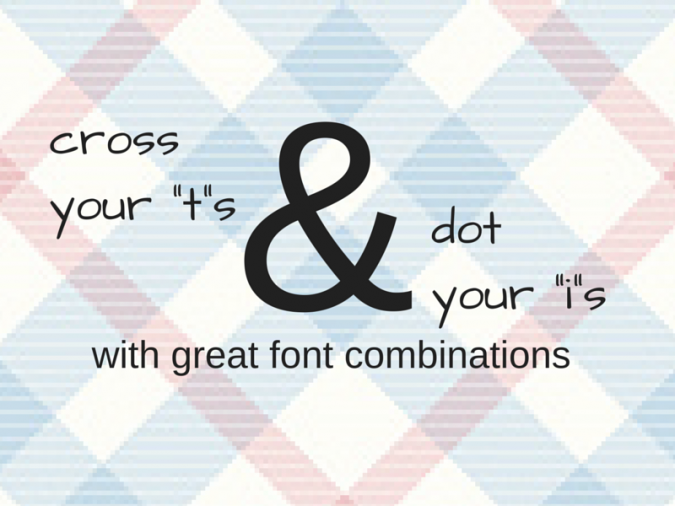 These will help you to select fonts that work together, while keeping your content readable. Think About Texture: Different fonts offer different textures–some are heavy and bold, others are light and airy. Mix and match these textures for optimal results, as they add more interest to your design as a whole. Don’t Go Overboard: When creating a type palette for your yearbook design, you can choose fonts that are completely different–but keep your selection to no more than four unique fonts. 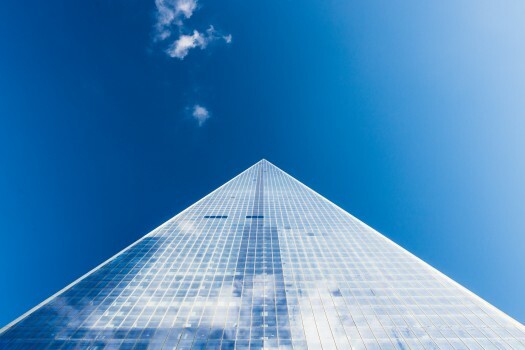 Too many options can make your design look muddled. Keep Content Simple: You can get super creative with your headline fonts, but make sure the options you choose for your full content are relatively simple. This helps make large groups of text easier to read. Test Your Options: Before you finalize your font selections, try them out on a page of content. 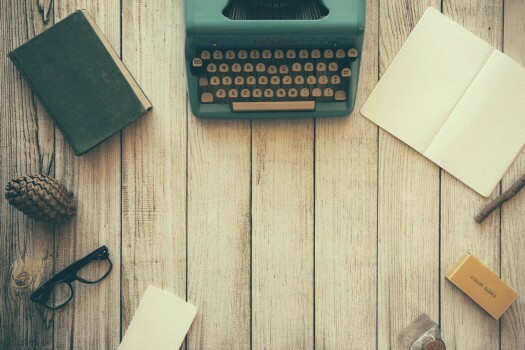 This can help you determine whether they’re the perfect fit for your book as a whole. 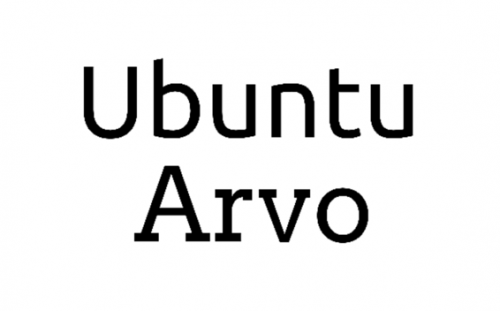 For an option that’s super streamlined and fresh, Ubuntu and Arvo make a great pair. Ubuntu is a great headline font because it’s so clean and bold–it really catches your eye. Arvo compliments that clean look with perfectly spaced, consistently sized letters, but has a texture that adds something a little unique to your content. Something else that contributes to a font pairing’s success is a serif/sans-serif contrast. 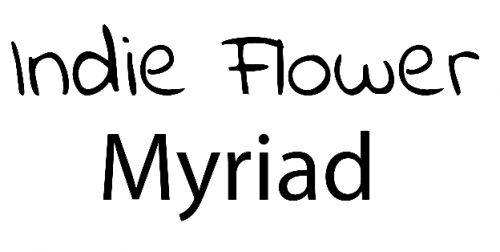 (If you’re new to the font world, serifs are the small lines attached to the ends of letters’ strokes.) You will notice we’ve paired a sans-serif font (Ubuntu) with a serif font (Arvo). This contrast keeps the fonts from feeling too similar and blending together. The weight of your font makes a difference–which you can see in the pairing of Amity Jack and Open Sans. Amity Jack is a bold font with a slightly modern feel. Open Sans text offers a more classic look that perfectly complements your headlines. By combining two options that are totally opposite weights, you can build the right font mix for your yearbook design. 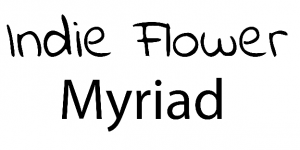 I love the mixture of Indie Flower as a headline font and Myriad for your content. They’re both very linear, but offer unique personalities that will take your content to the next level. Where Architect’s Daughter appears almost handwritten, Inconsolata has a much more structured appearance. This combination will make your pages look well-grounded, yet with an air of whimsy. Once you have a feel for how to pair fonts together, you can come up with the perfect set of options to feature on the pages of your own book. While it might seem like a minor choice to make, font combinations can have a big impact on the look and feel of your final yearbook design. Put a focus on selecting the best fit from the beginning of your process to make the final appearance of your publication totally perfect!